What do You Write About When You Have Nothing to Write About? I was kind of thinking that my post for this week would just be that title and a blank page. Pretty clever no? But then I realized that was way too nihilistic. 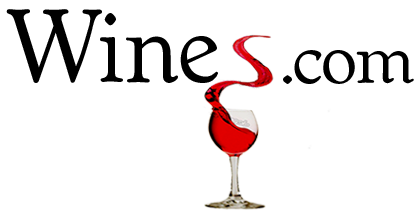 So…what to do, what to do… Should I snobbishly review some wine? Take a firm stance on something silly? Outline the various method’s I’ve tried to use to get the Winne-the-Pooh theme song out of my head? And while the latter sounds very appealing, I’ve been saving an idea for a rainy day. Which, ironically enough, it is today. When I was working in Bordeaux, I had the privilege to help run a stand at VinExpo. VinExpo is the largest convention for people in the wine trade. It’s a really wild experience. In typical Bordeaux tradition, the boss has a party at the end of VinExpo. I, by sheer luck, was able tag along to a dinner that I thought only happened in The Great Gatsby or ‘Eyes Wide Shut’. (Yes I know that the link isn’t from Eyes Wide Shut. But how awesomely hilarious is that picture? I cannot stop laughing.) Me, some stupid American whose only talents are a pretty face and a working knowledge of French stumbled into this nonsense. But how? We arrived to Michel (the Chef) and Kinette’s (the Sommelier) house and were immediately showed to an alcove in their tiny, eccentric, and stunning garden and handed glasses of 1996 Dom Perignon (93 pts). A classic Dom Perignon, toasty, nutty, and an essence of blooming honeysuckle. Our first set of hors d’oeuvres were oysters from Arcachon (a little beach town in South-West France) in a jelly made from their own brine. The flavor of those bad-boys with the Dom Perignon was hauntingly good. I still can almost taste it today. That was followed by 1996 Dom Ruinart Rose (96 pts) and shrimp spring rolls. The Dom Ruinart has undertones of tart cherry and strawberry. It’s an amazing and complex wine. The spring rolls were with raw, sushi grade Tiger Prawns and homemade wasabi. You’d’ve thought that the spice of the wasabi would kill the delicate champagne, but it certainly did not. When we finished the champagne and the catching up, we were herded into Michel’s kitchen slash dining room. A cool concept with very minimalist decor and the coolest Persian rug. That rug really tied the room together. We found wine in our glasses and food on our plates. The food was terrine de foie gras with a vermouth sauteed oyster on top. The wine was 1989 Chateau l’Angelus (96 pts). The Angelus had flavors of candied olives, coffee, mushrooms, and cinnamon. It says something of the night that this amazing wine ended up as an afterthought. Angelus tends to be a little over priced, if you ask me, but that doesn’t diminish the fact that the wine is awesome. If you get the change to try one in an ‘on’ vintage, you will not be disappointed. The wines from there, though, went super nova. We drunk side-by-side 1959 Lafitte Rothschild (99 pts) and 1959 Haut Brion (95 pts). I’ve written about the Lafitte before, I just can’t say enough about the wine. Old Haut Brions have a distinct taste. There’s a certain rustiness and age that you can just taste. This wine was starting to fade, however. There just wasn’t a ton of fruit, which really kept the wine from being mind-blowing. Slipped in underneath these wines was the next dish, a cappuccino of cepes and truffles. Essentially it was a soup made with Porcini mushrooms with truffle foam on top. It was exquisite. Only in France do you have the culture, the tolerance, and the talent to get something like this. The rest of the food was braised oxtail, the best duck breast I’ve ever had (cinnamon rubbed! ), baked Pont l’Eveque cheese, and fresh white peaches with a verveine sauce. We paired all of those with another side-by-side of 1947 Cheval Blanc (100 pts) and 1947 La Mission Haut Brion (96 pts). The La Mission’s flavors were subtle and complex. The finish was lengthy but not overly dramatic. The Cheval Blanc, on the other hand, was a religious experience. It explodes with blueberries and licorice. You can smell the wine from 6 inches away from the glass. The wine has an intense sweetness that I’ve never tasted or experienced in any other medium. The finish of the wine lasted a good minute plus. I share this story, not to boast, gloat, make myself feel better, but mainly because nothing else has really ‘inspired’ me this week. But also, to profess officially and truly my love for food and wine, if you hadn’t guessed already. Coming next week: Notes for two cult Napa Cabs, continued searching on my part to see if Discovery Channel’s ‘Life’ has a version that isn’t narrated by a hyena…what’s that? Oh it’s Oprah narrating? Still an absolute debacle. Remember to guess the movie quote in the comments for a free bottle of wine.